GreenWiseFlooring.com was established in 2004 to meet the growing demand for sustainable flooring solutions. 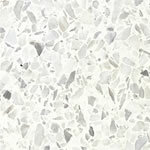 This includes not only floors that are environmentally friendly and durable, but comprised of recycled materials and manufactured with minimal environmental impact. This also includes flooring that does not require replacement over the life-span of a building, such as traditional carpet, wood, tile, VCT and laminate. Owner/operator Geoffrey Woods started restoring terrazzo in 2004 using the latest diamond technology. In 2008, the business was expanded to include terrazzo installation and polished-concrete. Today, GreenWiseFlooring.com can facilitate additional services requiring diamond abrasive technology, such as with surface prepartion and polishing natural stone. We professionally manage all of our projects with the highest level of ethics and practicality. Our products and services are top-quality and installed to our customers' satisfaction...guaranteed.